First it's the smell that lures you in. 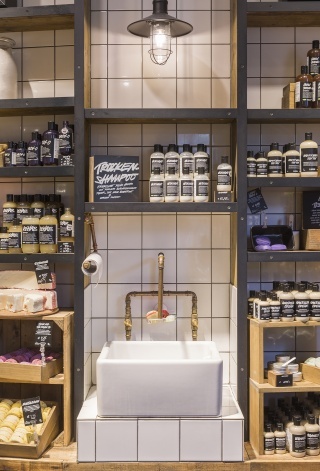 Once inside a Lush store you're struck by the contrast of natural materials and neutral tones against the rainbow colours of Lush's natural product range. 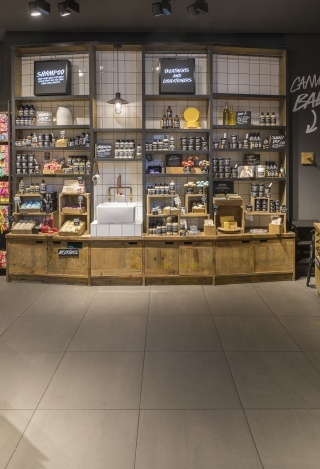 Over the years Lush Fresh Handmade Cosmetics has grown as a global brand, not only through its exceptional products but also its attitude and processes towards environmentally conscious design. 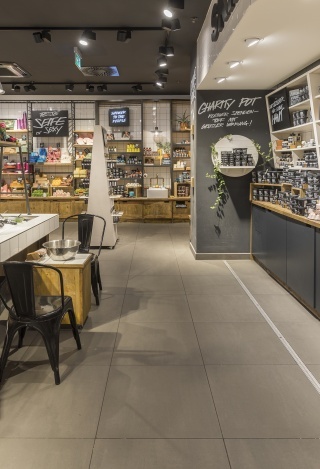 It's no surprise that Lush chose to use Mosa ceramic tiles in over 40 of its stores worldwide - we share the same goal in getting closer to nature and feeling responsible for the products we make. 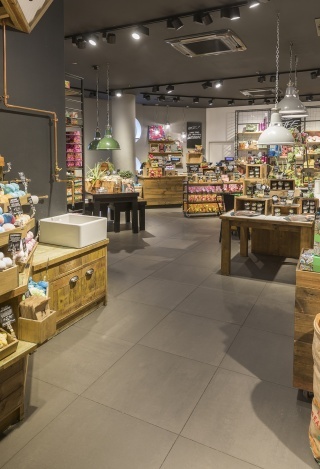 We spoke with store design buyer Nick Gumery of Lush Fresh Handmade Cosmetics to learn more about the design and product philosophy and why working with companies like Mosa is so important to them. Lush and Mosa share the same philosophy, believing that we can play a genuine role in being kind to the environment and the people that help make our products. We strive to be as environmentally responsible as we can in the corporate world, which demands high quality and high output. 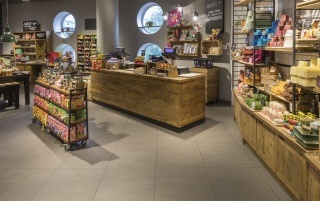 Gumery explains: 'As soon as you step into one of our stores you will notice naked products made from pure raw materials wherever possible, similar to Mosa. All of our soaps are sold naked - without any wrapping or obvious branding - there's nothing to hide with us. What we've learnt over the years is how to produce high quality and quantity products whilst keeping a close eye on our impact to nature and humans. We really want people to not only love the product they take home, but also the feeling of being part of a brand that cares about the environment and humans. When I look for materials, the exchange has to feel fair and we really try and stay away from materials or processes that harm the environment. Sometimes this is hard to achieve but as a company we're willing to go that extra mile and expense to make sure we can say we tried our best - that's actually the most important thing for us.